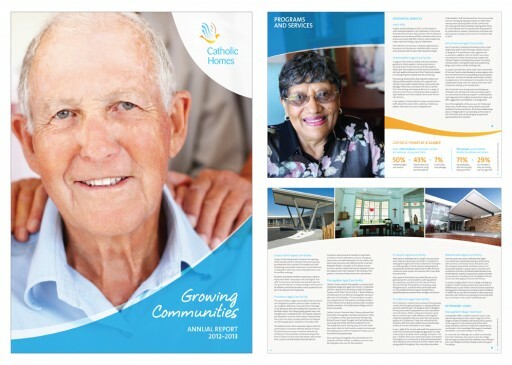 Catholic Homes 28 page A4 2012-2013 Annual Report. 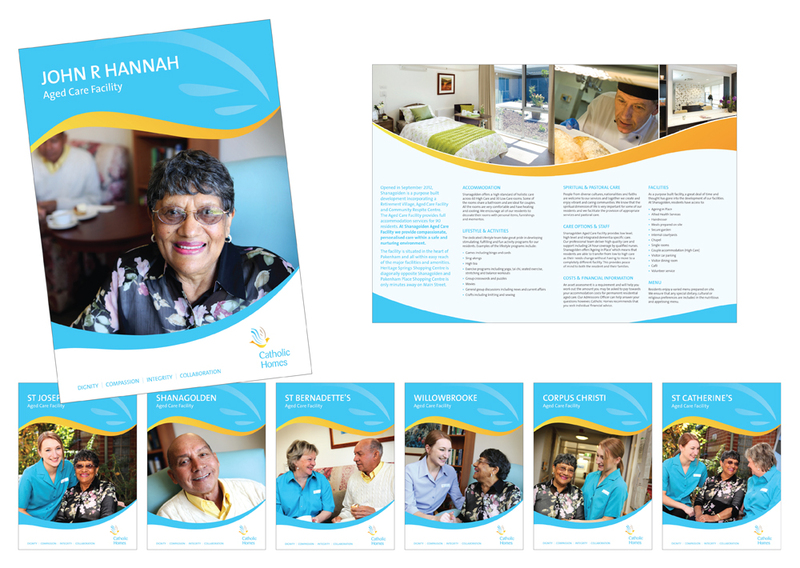 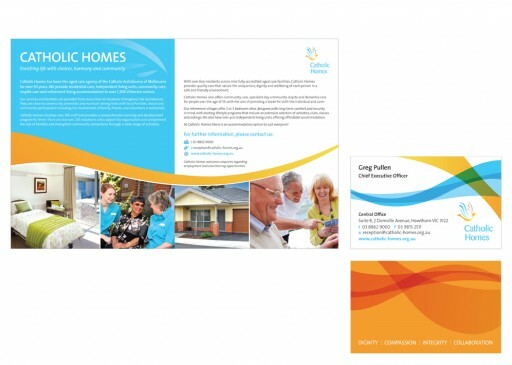 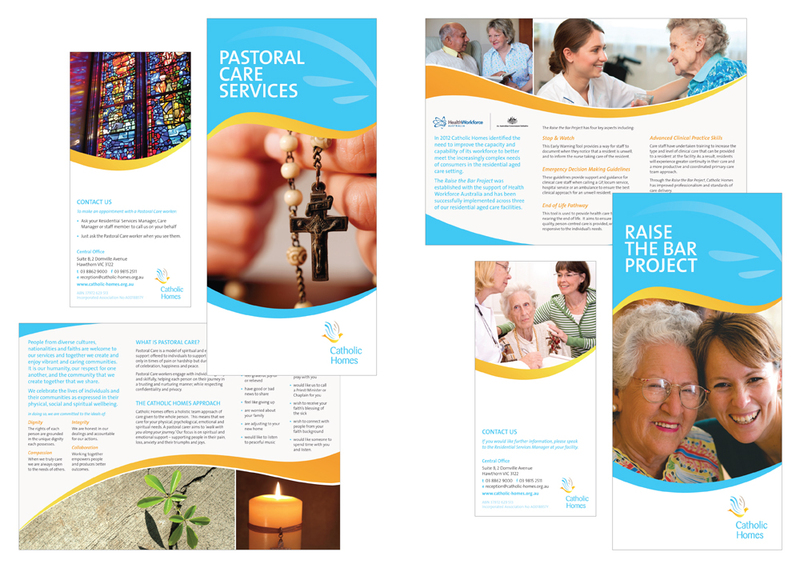 Seven Catholic Homes Aged Care Facility 4 page A4 brochures. Catholic Homes Pastoral Care Services and Raise the Bar Project 6 page DL brochures. Catholic Homes 2 page spread advert in Madonna magazine and double sided business cards.